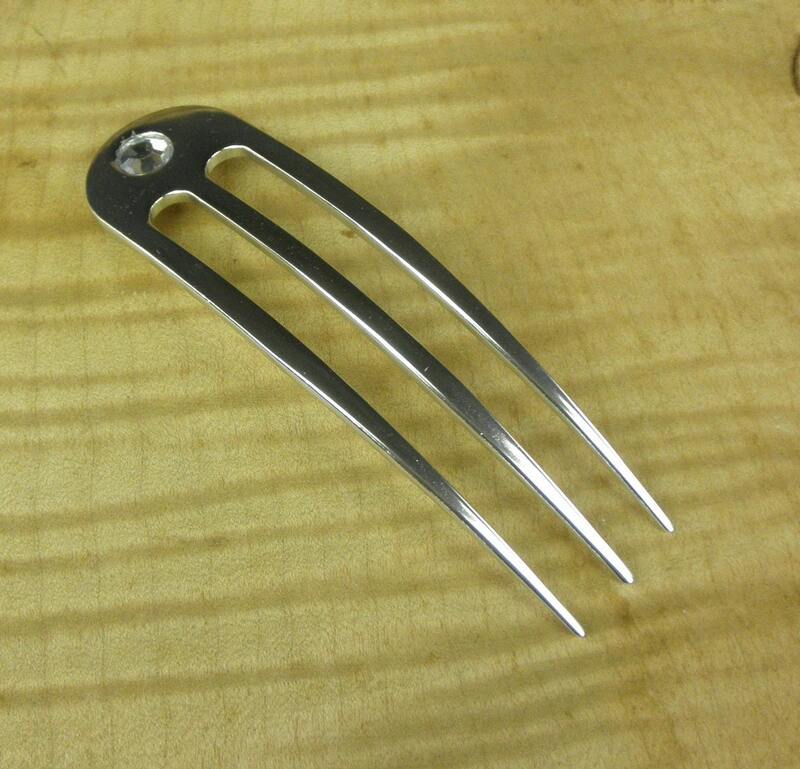 This sale is for One Silver Colored Anodized Aluminum 4.9 inch Curved Three Prong Hair Fork. Each has a Rhinestone added to them to add a little sparkle. They are 4.9 inches long and a about 1 3/8 inch wide and 1/8 of an inch thick. This Hair Fork is curved to fit the contour of your head. 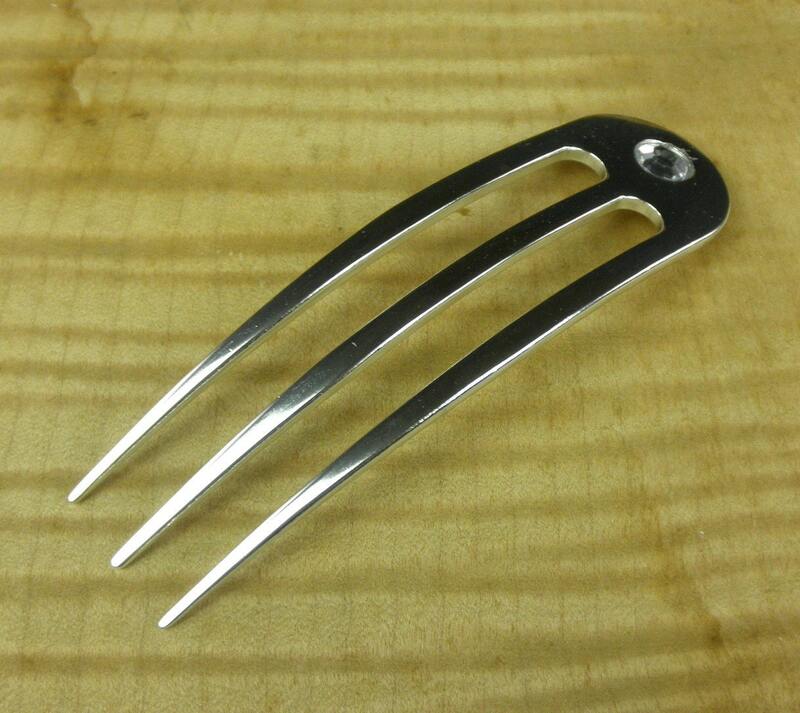 You get ONE Silver Colored Anodized Aluminum 4.9 Inch Curved Hair Fork in this sale ! I have purchased at least 10 of these aluminum forks/sticks, both sizes, over the last couple of years. I love giving them as gifts and the recipients love them as well. They work very well with thick hair. Great customer service! Very fast delivery! I'm sure I'll be back! I just used my beautiful silver fork, to bun my classic length hair before bed. I am back to get a back up. 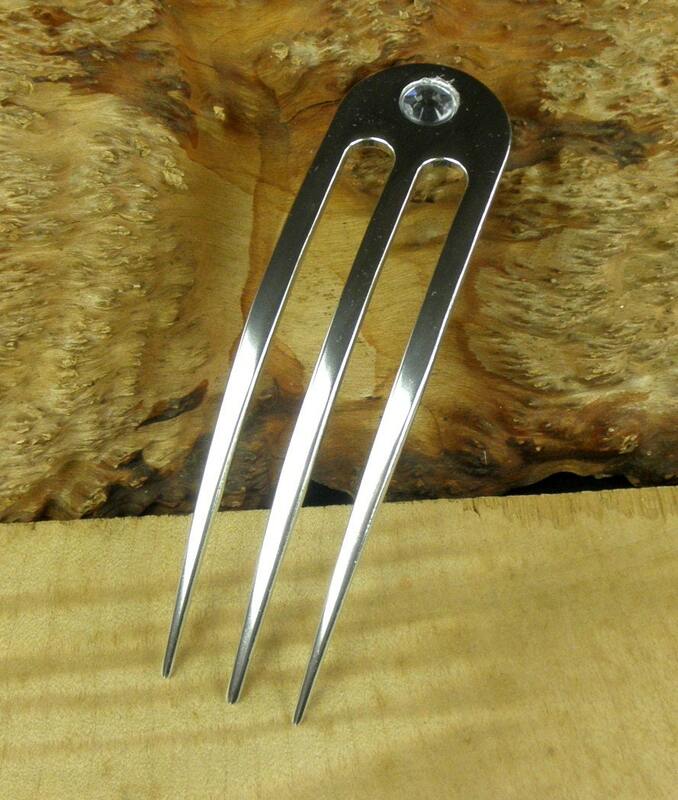 After pretty, but you can feel their fragility, antler and wood hair forks, this basic metal fork is so solid and a pleasure to use. So tired of forks bending and breaking in my hair. Then trying to find the hair fork splinters. 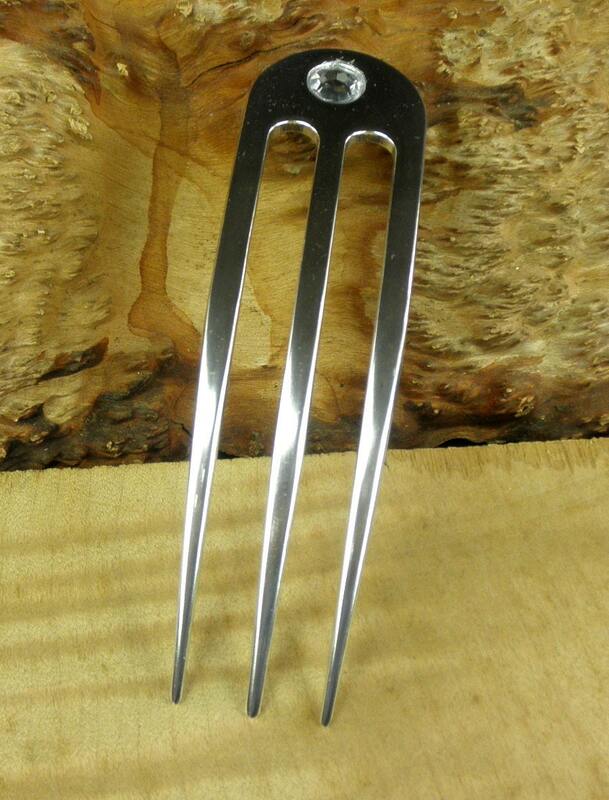 These basic solid metal hairforks are awesome. Perfect points on them too. Not so sharp on the ends. I love it. I love this comb. It is light weight but sturdy, and is very beautiful. 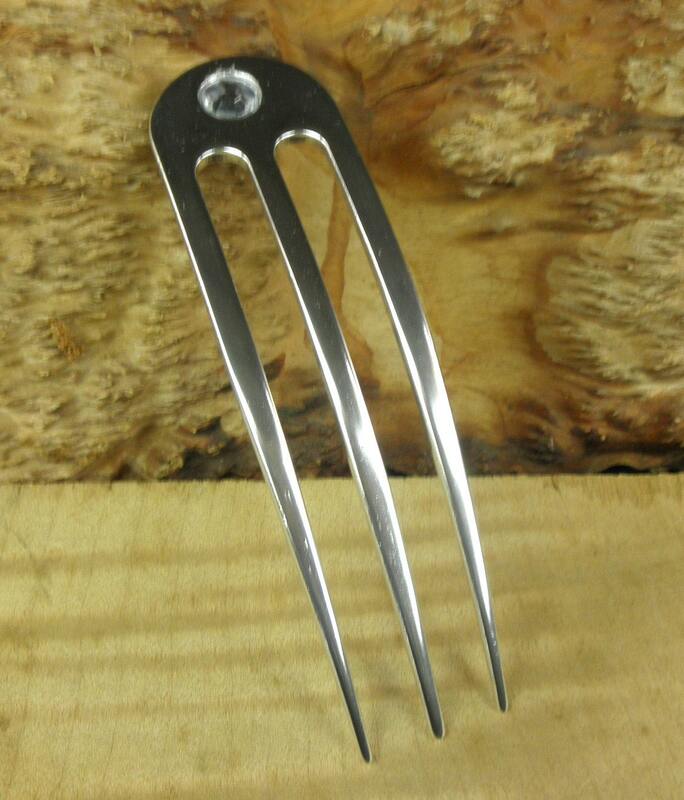 Very nice hair fork, and so lightweight. Love it!